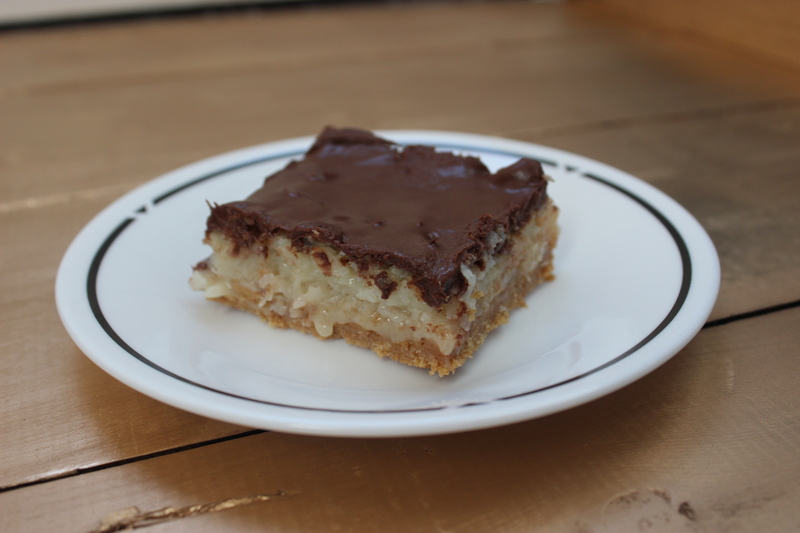 I first made these gooey coconut mounds bars with my dear, sweet, mom-in-law on a random week night when we needed a fast dessert for the guys. They were a hit to a coconut lovin’ family! The coconut oil (her idea!) 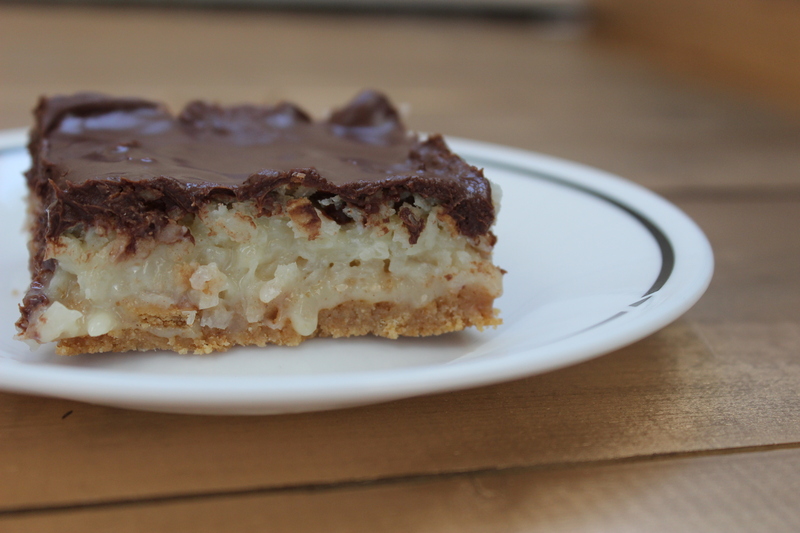 in the chocolate adds an extra burst of coconut flavor that is absolutely delicious! The chewy edges are perfection. So – without further-ado here is the recipe! For the Crust: Mix graham cracker crumbs, butter and sugar together and press into a 9×13 pan. Bake at 350 degrees for 10 minutes. For the Filling: Mix the condensed milk and coconut together and carefully spread over hot crust. Bake for another 20-25 minutes or until mostly set. Cool. For the Topping: In a microwave-safe bowl, combine the chocolate chips, peanut butter, and coconut oil. Microwave until melted. Spread on top of cooled bars. Chill until set.